young female is standing on pier and waving a cloth in front of male invalid into wheel chair on background of evening afterglow over ocean at summer vacation. 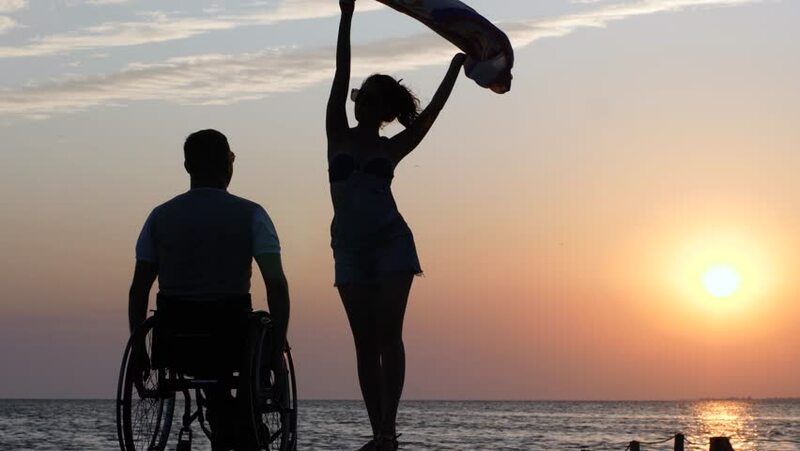 4k00:26shapely girl is standing on jetty and waving cloth in front of man disabled into wheel chair on background of orange sunset over sea at summer weekend. hd00:12The man hold paper airplane and launch on the background of picturesque sunset. Young man launch paper plane during sunset with sun flare as in childhood.